Meteorologist Alysa Carsley grew up just outside of Philadelphia, Pennsylvania. In 2004, she was on vacation in Disney World when Hurricane Charley ripped through central Florida. The fact that Charley could close the most magical place on earth helped spark her interest at a very young age in tropical weather. After years of shoveling snow, she wanted some warmer weather and moved to earn her degree in meteorology at the University of South Alabama. It wasn’t until those meteorology classes that she truly understood what a meteorologist does- in short, help people. And learning that, she was more convinced than ever she wanted to become one. Alysa worked as a weekend meteorologist at WXVO in Ocean Springs, Mississippi while still attending South Alabama. She recorded weather forecasts for 10 different news stations which helped her learn how weather patterns work across the nation. In July of 2017, Alysa accepted her first live broadcast job. Ironically, it was back in the snow and cold in Oak Hill, West Virginia. Besides the winter cold and snow, Alysa was in the middle of covering dangerous flooding. Her other passion, animals, also motivated her to host the station’s weekly Adopt-A-Pet segment. Alysa fell in love with forecasting snow, but the love wasn‘t strong enough to keep her up in West Virginia for too long. 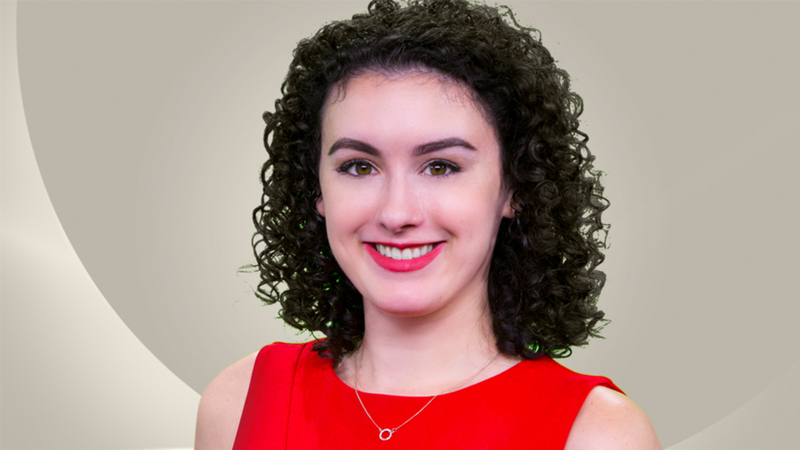 In August of 2018, Alysa said goodbye to winter weather to join WSAV’s StormTeam 3. Believe it or not, Alysa’s happy to be back in the heat and humidity along the coast. And, after all, who can resist living in Savannah! When she’s not at work, Alysa enjoys spending time and throwing the ball around with her dog, Silly. She loves food and being outdoors, rain or shine! And when you need to know if it will rain or shine, you can watch Alysa and her energetic personality on Coastal Sunrise Weekend at 6 a.m. and News 3 Today Weekend at 9 a.m.
Strong storms track through Texas and into Gulf Coast States. Watch the video below to learn how wonderful Ralph and Penelope truly are and to learn how you can adopt them. As of the 8 am advisory from the National Hurricane Center... Michael is is a major category 4 hurricane with max sustained winds of 145 mph and gusts to 165 mph.